1, the pigment including pigments and dyes, pigments organic pigments and inorganic pigments, former bright color, good dyeing force, put dry time is short, so widely used in printing ink, such as azo, brilliant blue pigments; The latter light resistance, heat resistance, solvent resistance, good hidden forces such as titanium white chrome, cadmium red, green, ultramarine blue, etc. Colored paint with graininess, and does not dissolve, is the most commonly used in printing ink pigment. And the dye mixture solution when use, in molecular state color, effect is better than paint. Pigment can give a printing ink with different colors and color concentration, and the ink has a certain consistency and dry. 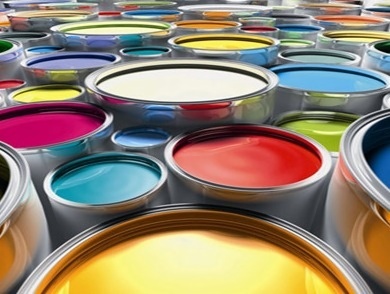 2, the connection is one of the major components of ink, a dispersed pigment and supplementary material medium, is made up of a small amount of natural resin, synthetic resin, rubber, cellulose derivatives such as soluble in drying oil or solvents. Liquidity to a certain extent, make after printing ink form a uniform thin layer, after drying to form a layer of a certain intensity, and the protective paint, make it difficult to fall off. Link of ink transfer, brightness, fixation rate and other printing eligibility and the printing effect has a great influence, therefore, choose the appropriate connection material is one of the key to ensure good printing, need to be able to according to different packaging materials, printing requirements, etc, the highlight ink connection material composition and ratio at any time. Next:The use of pearlescent pigments in printing inks.